Paro Tsechu Festival is one of the biggest religious celebrations of the Bhutanese year. 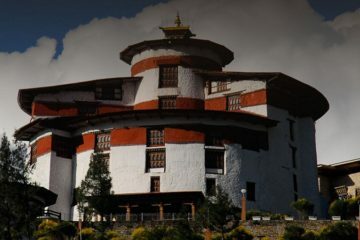 It has been held annually since the 17th century when zhabdrung Ngawang Namgyel, the funder of the nation state of Bhutan, and Ponpo Rigzin Nyingpo initiated the festival together with the consecration of Paro Dzong (fortress) in 1644. The festival is observed in three parts – the pre-festival rituals on the first day, ceremonies are undertaken on the second day inside the Paro Dzong, and the main festivities on the festival ground on the remaining three days. 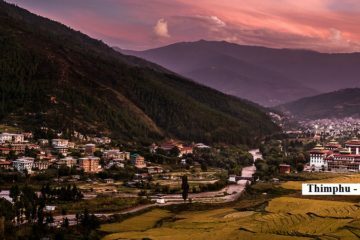 Bhutanese from all walks of life join the residents of Paro in their best finery to attend the five-day festival. The Paro Thongdroel is a large appliqué painting displayed to the public during the annual Paro festival. The Thongdroel, which means ‘liberation on sight’, is reveled in order to confer blessings on those assembled. The Paro Thongdroel is brought out of Rinpung Dzong at approximately 3 AM in a ceremonial procession on the last day of the festival. The main image of Guru Rinpoche, flanked by his two consorts Mandarava and Yeshe Tshogyal. On the far left and right are the Guru’s eight primary manisfestations, and the top center is occupied by the three long life deities, Buddha Amitabha, Chenrezig (Avalokitesshvara) and Namgyalma (Ushnishavijaya). Attend the festival whole day. Dinner and overnight in Hotel.